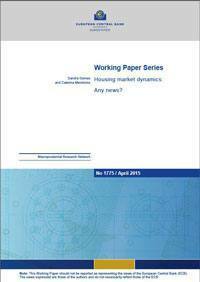 This paper explores the link between agent expectations and housing market dynamics. We focus on shifts in the fundamental driving forces of the economy that are anticipated by rational forward-looking agents, i.e. news shocks. Using Bayesian methods and U.S. data, we find that news-shock-driven-cycles account for a sizable fraction of the variability in house prices and other macroeconomic variables over the business cycle and have also contributed to run-ups in house prices over the last three decades. By exploring the link between news shocks and agent expectations, we show that house price growth was positively related to inflation expectations during the boom of the late 1970’s but negatively related to interest rate expectations during the mid-2000’s housing boom. cation, financial frictions, survey expectations.